The Ammonoosuc Conservation Trust has reached an agreement to transfer the two private islands in New Hampshire into public hands. A 311 acre farm will also be protected. Proposals are in place to protect Florida’s Dot-Dash-Dit Islands – an island group home to Tampa Bay’s only coastal colony of wood storks. A public comment session is planned for later this month. Proposals to designate a historically-significant private island in Maine as a protected area were unanimously approved as plans to prevent the development of House Island gain momentum. Wisconsin’s Green Bay National Wildlife Refuge is set to expand by approx. 1,290 acres as the U.S. Fish and Wildlife Service announces the purchase of St. Martin Island and the Rocky Islands. Mahoney Island is the latest island to join the Maine Coastal Islands National Wildlife Refuge – a joint initiative operated by the US Fish and Wildlife Service and the Maine Coast Heritage Trust. Following up on his recent letter about the future of the private island market, Farhad Vladi has provided Private Island News with a comprehensive list of private islands which have made their way into public hands. Finley Cay has become the first private island in the Bahamas to be subject to conservation laws after a moratorium was placed on the island’s future development and construction. 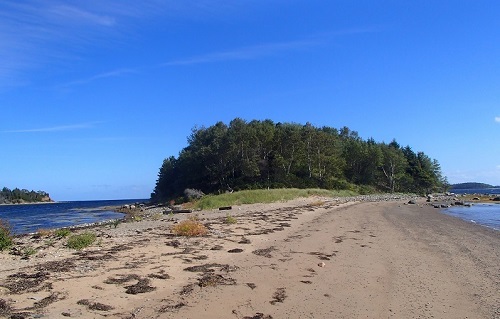 The Mahone Islands Conservation Association is celebrating the protection of yet another private island, after Goat Island was donated to the province of Nova Scotia this month.